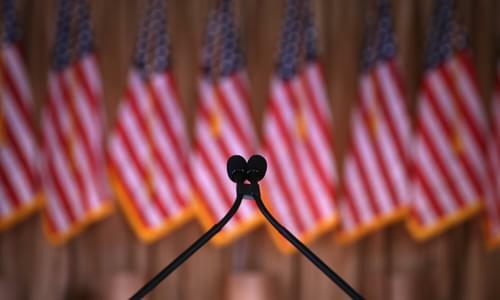 On Friday’s Mark Levin show, In 1962, “The Image” by Daniel Boorstin introduced the notion of “pseudo-events”—events such as press conferences and presidential debates, which are manufactured solely in order to be reported. This is relevant today because we are surrounded by the pseudo-media, the pseudo-reporters and their fake news. We live in world of progressive who tells us what the news is and decides what to omit. All this week the media have been focused on a pseudo-event – the immigration debate. There are much more horrific things going on in the world than this event. But this pseudo-event serves the purpose of the media and the democrats to advance their agenda. The media have inserted ideological progressivism into their news reporting. They create their own progressive reality and they push it out as news. Then, some of the photos used in the coverage of children at the border were actually from Obama-era detention centers–not recent. But that doesn’t matter, does it? Now the media is trashing all Trump voters for being bad guys and kidnapping kids. In fact, the Time Magazine cover portraying a little girl facing Trump is in fact of a girl that was not separated from her mother. Moreover her father claims that the mother took off with the little girl leaving other children behind to falsely claim asylum in order to gain entry to the us, suspecting that they’d be released after being processed. Later, the Supreme Court Ruled that states can charge sales tax on goods sold on the internet from other states. This is not “fair” and flies in the face of conservatism and capitalism. This disincentivizes doing business across state lines as it may require small business owners to file sales tax in 45 states. And tariffs lead to higher prices which will lead to a recession, because prices are being inflated artificially. George W. Bush tried this protectionist strategy and the US lost 200,000 jobs in 10 months. So let’s stop the populist B.S.! Its un-American to effectively subsidize certain industries and not others. This “fairness” is destructive economically and threatens mobility.